Swedish body massage is a great all-round routine to promote health, well-being and therapeutic goodness. Swedish deep tissue massage improves sluggish circulation and better muscle tone as well as aids lymphatic waste disposal. Note that this is a full body massage - thus, done with oil. Swedish Body Massage treatments are accepted by the NHS in general and in particular by Cardiff & Vale (general health benefits) as hugely beneficial in reducing stress and anxiety. Swedish massage is accepted by Health Shield- please see their TCs. Guidelines published by the National Institute for Health and Clinical Excellence (NICE) in 2009 recommends that patients with persistant, non-specific lower back pain have access to a choice of different treatments, including Swedish massage. The NICE guidelines state that "The effect of a full body massage in patients with chronic lower back pain lasted at least a year after the end of treatment". It went on in s1.4.1 to advise GPs to "consider offering a course of manual therapy, including Swedish massage, comprising up to a maximum of nine sessions over a period of up to 12 weeks". The research went on to include chronic neck pain, migraine and cervicogenic headache. Swedish massage has long been accepted by the Cardiff and Vale NHS for reducing stress and anxiety. The Royal College of Psychiatrists have recommended Swedish massage as a tool to ease the feeling of distress in Post Traumatic Stress Disorders (PTSD). to allow better gliding, kneading and friction movements as well as relaxing effleurage strokes. Swedish massage is especially recommended for muscular aches and pains, general health maintenance, well-being and could be very welcome at any time of year. "World Class - Olympic standard.. I've visited City Marshall several times. Having ran in two Olympic Games and having a silver medal in one I'd say I've got some very credible knowledge and experience in world class massage therapy. 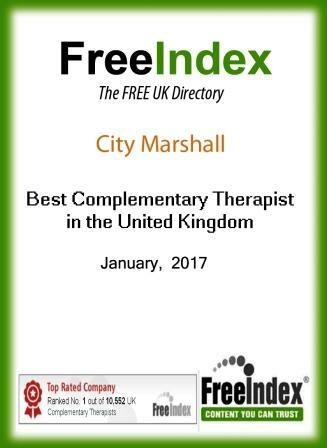 I've had some of the best therapists in the world treat me in the past and I must say that Philip at City Marshall is one of the best therapists I've ever had. You get what you pay for and that's Olympic standard.... The best! I look forward to visiting again soon!" 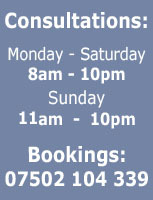 "I have enjoyed my visitt to Marshall massage therapy clinic in Cardiff. He appears to have 20 years of great experience in sports injures, and pin-pointed my needs and addresed them within 10 minutes of seeing me. It is now two monthes later - and there is still totally no pain! We had two times a full hour session, and both times, I was given an extra 15 minutes or so of free time when we further dicussed diet, nutrition, ways of streching and general well-being. Marshall is an exceptional talent and you should seek him out on your visit to Cardiff." "Fantastic massage. After reading so many different good reviews I decided to try a massage at City Marshall, Cardiff and was not disappointed! I had hip and shoulder problems and had seen various therapists in the past. Phillip took his time during the consultation to find out which areas were causing problems and I was particularly impressed with his broad knowledge of complimentary therapies/diet/nutrition/sport injuries/stretches. I also suffer from heartburn and he advised me to avoid certain foods. It s great to be able to have appointments at short notice and I would highly recommend Phillip as a complimentary therapist." "Plagued by neck and back pain, which persisted despite trying a range of different therapies and exercises, I was very pleased by the effect of just a couple of treatments at City Marshall. The care and attention, and ability to destress painful muscles, are outstanding - in fact I am amazed at what they can do. My singing voice has been transformed by tension reduction in my back." "I would highly recommend Philip based on my excellent experience. I'm particularly impressed by how much information he gathers in order to really tailor the treatment to the individual. Most massage places I've been have felt quite generic and rushed where here is someone who offers a wealth of knowledge and obviously likes seeing positive results in his clients. Every massage/session has been very relaxing, informative and I've come away with obvious benefits. 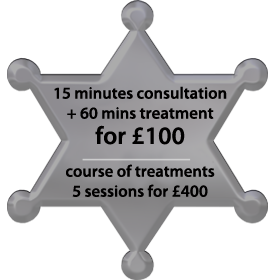 Excellent treatments." "I booked massages for myself and my partner with Philip and we both greatly enjoyed the experience. Philip built in the time to get to know me and understand what I wanted, while recommending the best massage for me. I felt that Philip put a lot of effort into this which results in a very personalised service that best benefitted me. Philip took time to explain everything to me and check I was comfortable with the different things he used. The massage itself was fantastic. I asked for a relaxation focused massage as I had been going through a very stressful time, but with emphasis on my back and shoulder which had been causing me pain. Philip mixed oils together to best benefit my body which smelled lovely and added to the relaxed atmosphere with the gentle music too. I felt relaxed and invigorated at the same time afterwards, and my back was really improved for several weeks. I also found I slept better after the massage, with my body able to properly relax. Philip used towels senstively to ensure I felt comfortable, and the bed used for the massage was comfortable too. I will certainly be returning. Overall I felt this massage gave good value for money, the session was full and personalised. My partner had a similarly excellent experience, with Philip recognising the tension and stress in his head and paying particular attention to this part of his body, which apparently made him feel much better afterwards. Overall, Philip was very therapeutic in his approach, and the experience was soothing, relaxing and contiued to benefit us for several weeks. We are looking forward to returning soon." Outstanding massage. I'm a fitness instructor and thought that I'd just have to 'live with' my constant aches, pains, strains and pulled muscles. 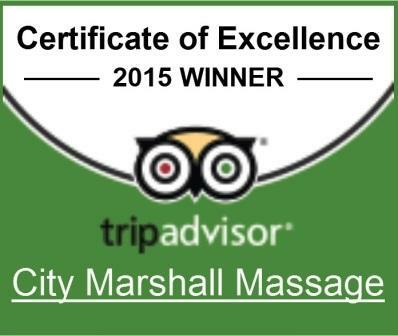 After one visit to City Marshall for a sports massage, my back was SO much better. Since then I return as often as I can. Phillip uses a pressure pointing technique that relieved my knots and tension, my movement was instantly better and I could stand up straight! The essential oils are tailored to your personal requirements and smell divine. Phillip really knows his stuff, he describes what he's doing and how he is trying to relieve pain and strains. He also gives outstanding advice on posture and how to avoid injury and pain in the future. Would recommend to anyone who suffers with back, neck or shoulder problems, anyone who is involved in fitness to relieve muscle strain... also anyone who just wants a nice relaxing massage after a long week! It was my first Swedish massage ever, and was great. Was made to feel relaxed and at ease. It was my first time having Swedish massage therapy I felt a little unsure with what to expect, but the great service and treatment made me feel right at ease and I left with high spirits. Who can benefit from Swedish Body Massage? Why is a Swedish Body Massage different to a Sports Massage Therapy? A Sports Massage treatment is especially good for those with specific injuries, postural problems and specific physiological conditions that need to be addressed. A Swedish massage is generally more soothing, with less attention paid to detailed deep tissue manipulation and is much more relaxing and balancing if there is no specific physiological requirement to use specific deep tissue neuro-muscular sports techniques.